The show has on average 38,000 listeners per week across its syndicated channels. The show airs on legendary talk radio station, 77WABC, a 50,000 megawatt station in the NY/NJ area. Missed a Past Episode? No Problem! Podcasts From All Previous Shows Are Available! Incredible content. Quality guests. Answering the questions that are on your mind. The show is syndicated through various channels to reach audiences worldwide. Timeline Photos …and we’re LIVE! Tune into 77 WABC’s Mind Your Business with Yitzchok Saftlas right now to hear C Lee Smith, CEO and Founder of SalesFuel, on air! You can also listen live at MYBradio.com #Live Let me know what you think below! Fearful you have a toxic employee in your office? This Sunday, 4/14, at 10pm tune in to 77 WABC's Mind Your Business with Yitzchok Saftlas to hear C Lee Smith, CEO and Founder of SalesFuel. I very much enjoyed talking business strategy with Yitzchok Saftlas. 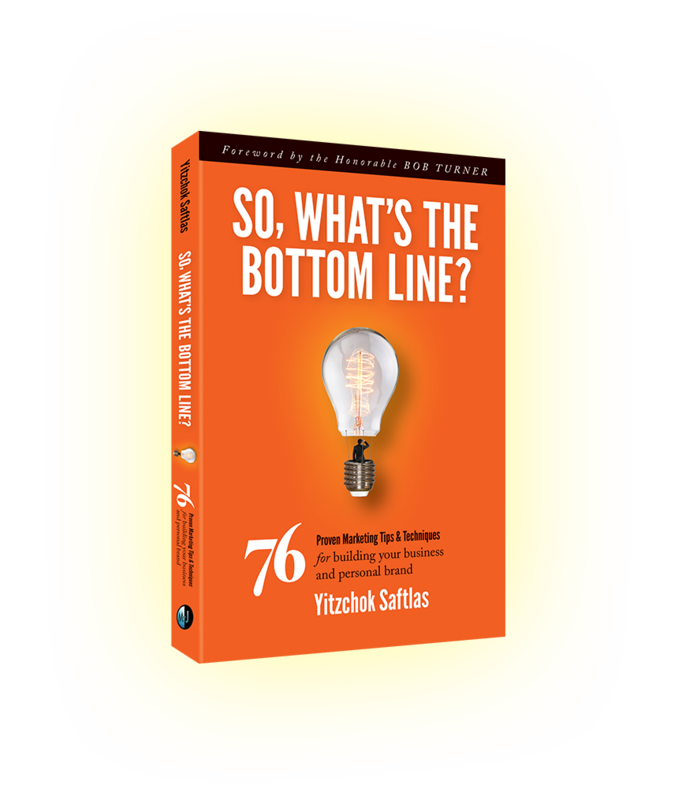 I enjoyed this Mind Your Business interview with Yitzchok Saftlas and I think you will too! Hey Yitzchok – THANK YOU! Great interview today. You were amazing! Turns out – it WAS your show the guy who called heard me on, raved about the interview, and has invited me in to keynote for his top execs and is hoping for a longer term engagement. You guys Rock!! Yitzchok: it was a joy to interact with you on Mind Your Business. The conversation was lively and informed. The reception was extremely warm. Your level of engagement made our conversation as interesting for me – as I hope was informational for your listeners. It was a pleasure to do the show. You are totally engaging as an interviewer. Let’s do it again! I hope you both had a wonderful weekend! I just want to take this time to say that I had a BLAST doing the interview. I hope the response from your listeners were enthusiastic. What a pleasure it was to join you on Mind Your Business. Not only are you a gifted radio host, interviewer and conversationalist, but I found our time together utterly enjoyable. Truly one of the best on-air experiences I’ve had. Further, the wonderful responses I’ve gotten from listeners has been truly gratifying – including a few inquiries about Navalent’s services and one invitation to come and speak at an organization. Thanks for the opportunity to join you on your show, I”m truly grateful our paths have crossed, and look forward to staying connected. Being on Mind your Business Radio and interviewed with Yitzchok felt like I was being interviewed by Lary King Live! Yizchok is a world class interviewer. Len and others loved the interview you conducted. You have a remarkable talent in bringing interesting content out of your interviewees. I want to thank you for the opportunity to be interviewed on your “Mind Your Business with Yitzchok Saftlas” radio show. You are a rare master interviewer who digs deep to bring out the best in your guests. The end result is a valuable piece for the audience that both informs and entertains.